Noted fashion designer, anthropologist, and recycled materials artist Ms. Veronique “Vickie” Fremont has been an AH teaching artist for over eight years. Fluent in five languages (French, Spanish, English, Portuguese, and Italian), Vickie is a highly effective arts educators for English Language Learners (ELLs). 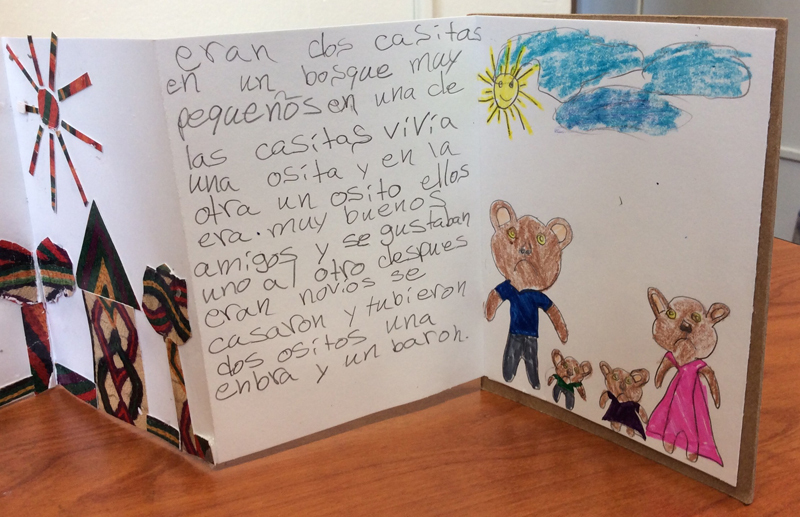 She has just finished an AH in-school visual arts residency at PS 85 in partnership with Fordham University’s Graduate School of Education in the Fordham Heights neighborhood of the Bronx. Ms. Joyce Griffen, another AH teaching artist who has been working with us since 2009, is also currently working with PS 85 students in a storytelling program. 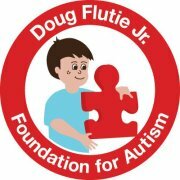 Joyce is an accomplished actress, jazz vocalist and director with extensive experience in special education. 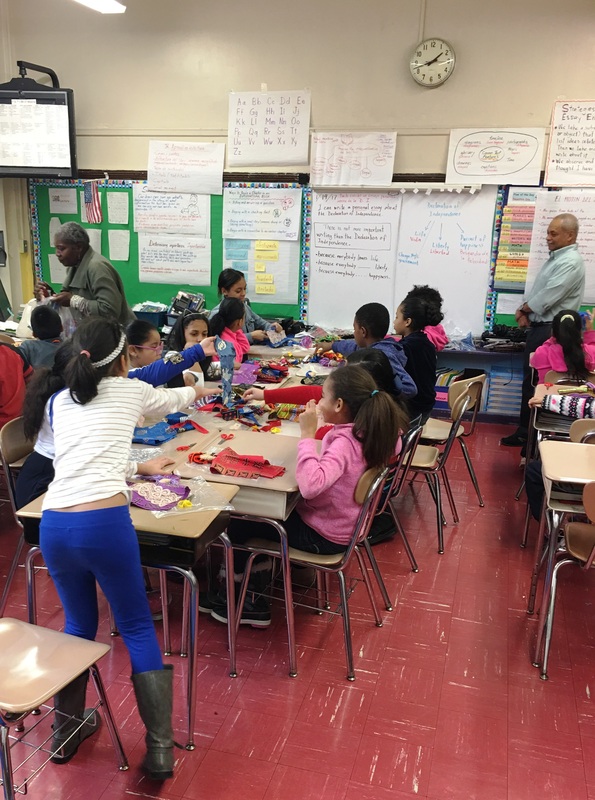 Arts Horizons is pleased to enter our second year at PS 85 in partnership with the Fordham Center for Educational Partnerships initiative with Community Schools. This continues a longstanding relationship working with the students and educators at PS 85 that dates back to 2007. The Association of Teaching Artist (ATA) declared last week National Teaching Artist Appreciation Week, “a week to pay tribute to Teaching Artists, to honor local Teaching Artists and acknowledge the crucial role Teaching Artists play in making sure every student receives a quality education” [SOURCE]. We would like to join the celebration and thank our Arts Horizons’ Teaching Artist for being an inspiration and impacting so many lives. 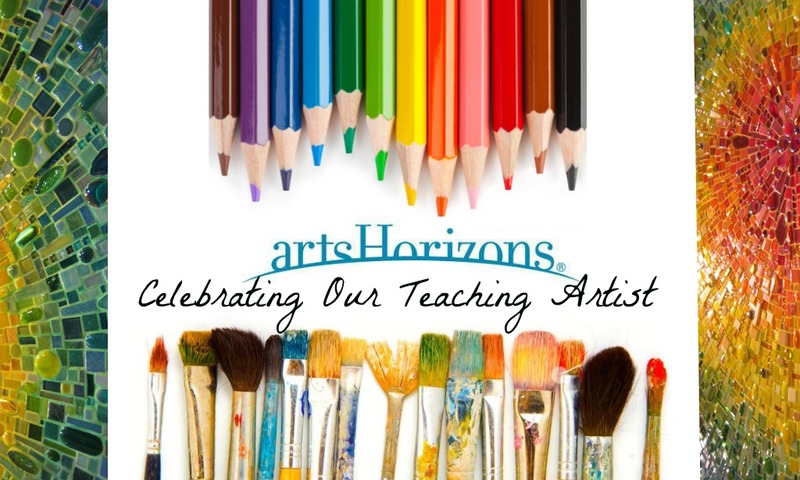 Arts Horizons has a roster of over 200 dedicated professional musicians, visual artist, actors, dancers, poets, and new media artists. Since 1978, our artists have successfully brought the arts to over seven million learners through residencies, professional development, assemblies, and other projects. We appreciate our Teaching Artist for sharing our vision to transform lives through the power of the arts. During National Teaching Artist Appreciation Week, I extend my gratitude to the energy, spirit, and ongoing supply of new ideas and inspiration that emerges from every one of our teaching artists. Every day, I recognize the exciting opportunities that you bring to our students, educators and communities. Teaching artists give students a chance to discover and showcase true talents, in a school structure that may not give them a chance to do so. Beyond the work you do, I have become inspired by all of your ideas and projects and have happily carried this into my own creative works. Thank you.